Nigeria’s Vice President-elect, Professor Yemi Osinbajo, on Friday outlined the tasks of the incoming administration, stressing that the support of all Nigerians is needed to actualise the expectations. Professor Osinbajo was speaking at the Platform, an event held in the nation’s capital, Abuja, designed to facilitate growth in the areas of personal capacities and productivity. Speaking on the ‘Relationships between Business and Governance’, the Vice President-elect touched most sectors of the Nigerian economy that the All Progressive Congress-led government would focus on to bring the needed change they had promised to Nigerians during election campaigns. “We are truly passionate about change and the time has come for us to be part of making that the change comes. “Poverty in Nigeria is so disheartening. Nigeria needs immediate fixing. “The vast majority of people are poor and alienated from all the good things that the government ought to produce for them and it appears that we are well down the ladder. “With change comes great expectations. Very high expectations. “We believe in change and the need for a change in the way our economy is run. 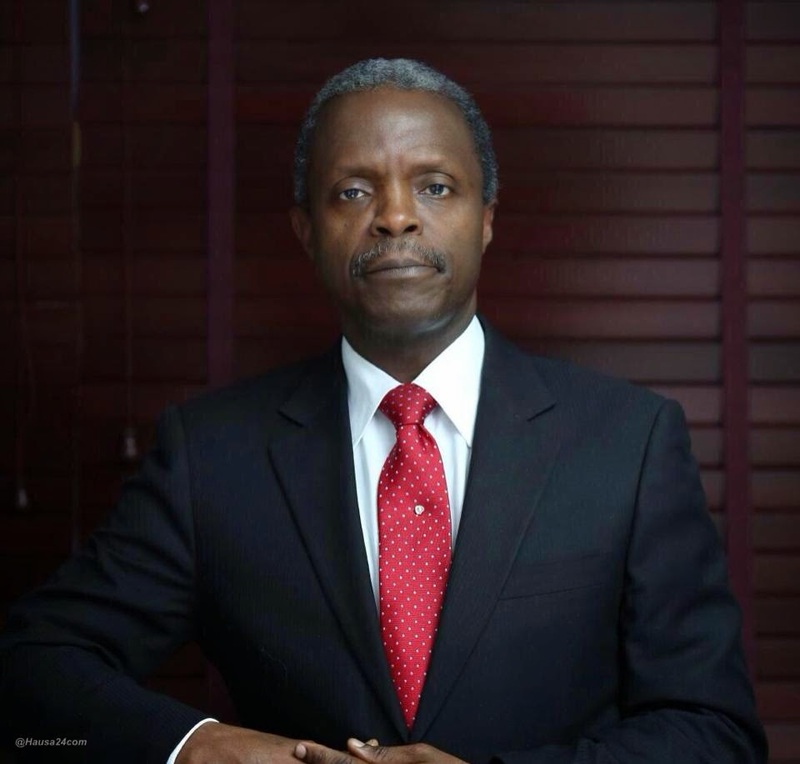 We are those called upon to fix it,” Professor Osinbajo said. He emphasised the position of the President-elect, General Muhammad Buhari, on the need to ‘kill corruption’ in Nigeria, saying that the nation’s major source of revenue – the oil and gas sector – needed greater governance and transparency. “If you read the PWC report, it is clear that in the oil and gas sector, in the NNPC, there were just all sorts of things going on there. “A lot of money was spent without appropriation. “We need greater governance in our revenue earning sector. “We need greater transparency in the oil and gas to be sure that those who are responsible for securing the earnings are honest and that the whole process is transparent for all to see… Taxation, customs and the maritime sector,” he said. In the area of unemployment, the Vice President-elect said the rate of unemployment of graduates, which he put at is 80 per cent, was worrisome. He stated that the rate of unemployment would be reduced through establishment of policies that would further empower companies in Nigeria, creating more jobs for the unemployed. According to him, the government will explore technology parts, with the private sector partnership. “We will provide some infrastructure in technology that some businesses in technology can use,” he explained, stressing that his administration would further make Nigeria a knowledge based economy. On the power sector, the Vice President-elect said his administration would adopt the Power Academy template of the Lagos State government. The Academy is a collaboration of the Lagos State government and Siemens. They provide training to individuals to grow the sector and Professor Osinbajo said the template would further deepen the technical knowledge of Nigerians in the area of energy management. Nigeria’s economy became Africa’s number one economy after it was rebased in 2014, with the entertainment industry showing huge investment potentials. Professor Osinbajo said the entertainment industry had not yielded as it should due to piracy, which he said would be tackled. “Entertainment is big in Nigeria and we have to invest in helping those in the entertainment industry in Nigeria. One of the greatest investment we can make is in protecting intellectual property. He also said his administration would look at small businesses and training of entrepreneurs to empower them to grow their businesses and provide employment. The process of registering businesses in Nigeria is clogged with bureaucracy that had created an opportunity for individuals in the sector to make money and enrich themselves. But Professor Osinbajo said the incoming government would look at eliminating the ‘toll gates’ in the process, which he said was a means of eliminating bribery and corruption. He said: “I want to suggest that corruption is a killer disease and we have to deal with it the same way we dealt with the Ebola virus. “Toll gates are opportunities for bribery and corruption. Those responsible for registration that have set up these toll gates made it so to exploit people trying to register their businesses. “It is obvious that there is a real connection between corruption and the terrible lack of social services that we have. As a nation, we have to come together to deal with it. On the side of government, people will be made to understand that there will be consequence for corruption. “People seem to get away with corruption and that sends a bad message”. The criminal justice system is also another sector that the Professor of Law said had contributed to the prevalence of corruption in Nigeria, stressing that the incoming government would look at strengthening the system and ensure that every Nigerian seeking justice gets it. He also pledged the government’s commitment to reducing the cost of governance, through running a ‘lean government’ that would ensure that the recurrent expenditure would be reduced. Recurrent expenditure in Nigeria is about 70 per cent of the nation’ budge, but the Professor pointed out that reducing the cost of governance would free up funds for useful investments.